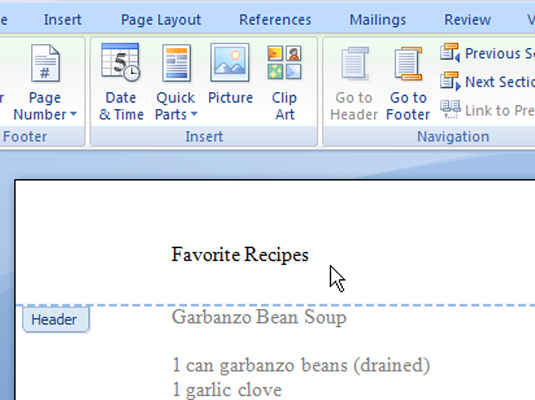 The Insert tab is the second tab from the left, located between the Home and Page Layout tabs. 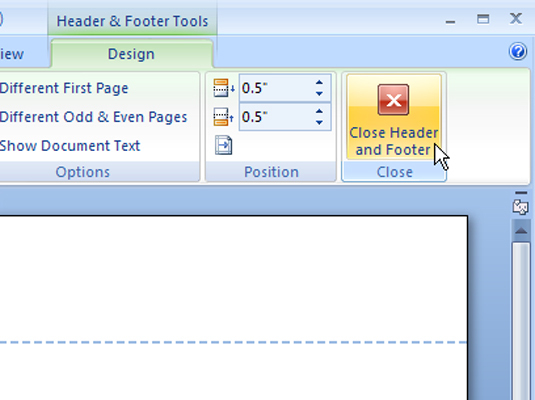 In the Header & Footer area, click the Header button. A list of preformatted headers is displayed. Choose the format you want from the list. 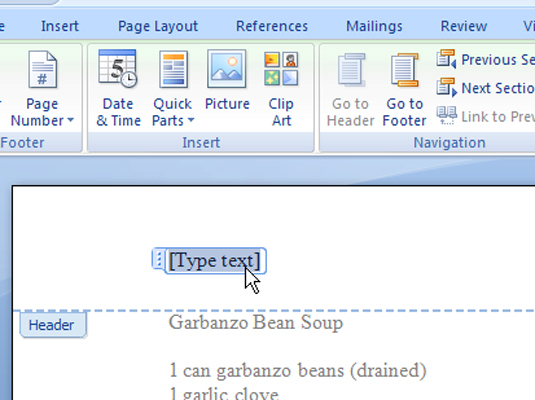 The header is added to your document, saved as part of the page format. If you’re in Draft view, you’re switched to Print Layout view so that you can edit the header. Select any brackets and the bracketed text. Make sure you include the brackets in your selection. Type the required replacement text. 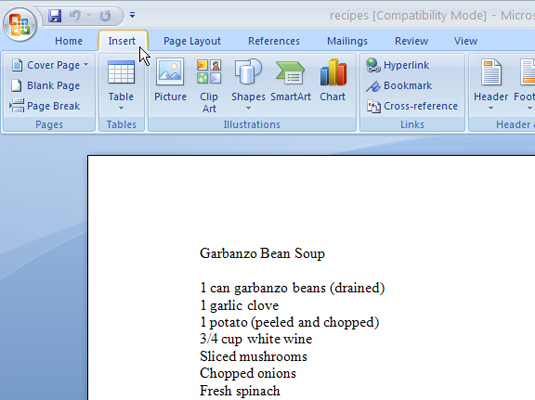 For example, replace [Enter Document Title] with the real title of your document. Continue to replace all bracketed text in the header. 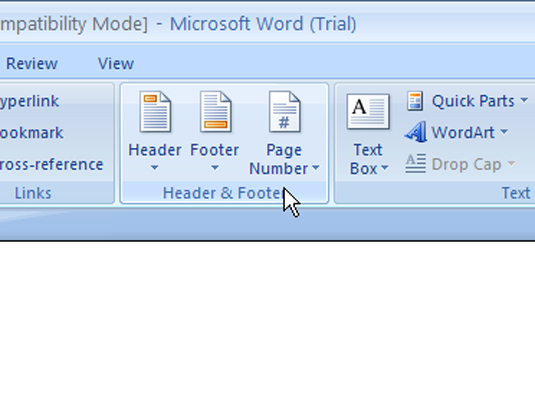 Click the Close Header and Footer command button in the Close group on the far right side of the Ribbon. 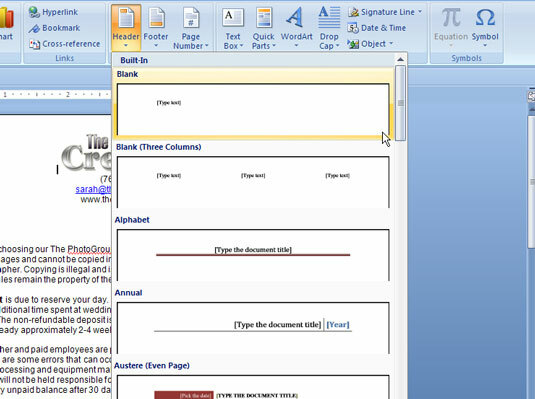 After you click the Closer Header and Footer command button, you return to your document.